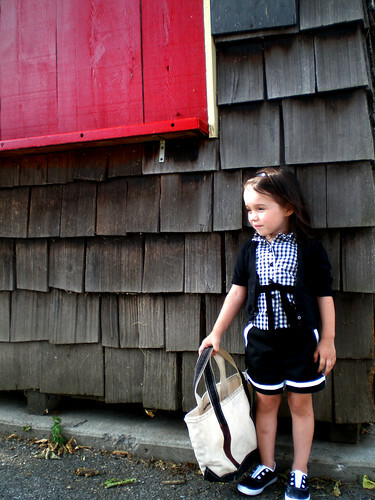 I love this outfit, and someday I'm going to win one from Grosgrain. Then, someday, I'll have a little girl to wear it! The ruffled collar is darling. Don't be surprised if it shows up on a future project of mine.